When Mrs. Clark refused to let Moses Paul, a Native American, “have a dram” at Clark’s Tavern in Bethany, CT on a Saturday night, he was incensed. He became so disorderly, in fact, that he was forcibly removed from the tavern, but not before he vowed to exact revenge. Not long after the disturbance, Moses Cook, who was staying at the tavern as a lodger, stepped outside. Paul, who had been lying in wait, ambushed Cook and hit him on the head with a flat iron. The blow broke Cook’s “scull in so terrible a manner, that he died of the wound.” Paul was apprehended the next day and thrown in the New Haven jail to await trial. This account of the altercation that took place that Saturday night on December 7, 1771 served as the basis for finding Moses Paul guilty of willful murder. But court records of Paul’s attempt to appeal the judgment reveal that a much different set of events possibly took place on that fateful night. Paul was born in Barnstable, MA in 1742. His father died in the Siege of Louisburg in 1745, and his mother died not long afterward. Paul’s only memory of her was that she regularly attended church services at the Presbyterian Meeting House. At age five, Paul was bound as an apprentice to John Manning of Windham, who saw that Paul was taught to read and write and was instructed in Christian principles. Paul left the Manning family six or seven years later and followed in his father’s footsteps by joining the army. Moses Paul’s presence in Clark’s Tavern was not unusual. In 1669, Connecticut outlawed the sale of liquor to Native Americans, but the law was essentially ignored. Native American men and women regularly drank in taverns and socialized with Anglo-American clientele. 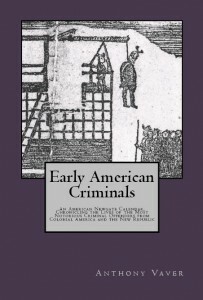 But even though colonial Americans generally believed that the evil of drunkenness was universal, they also thought that Native Americans in particular could turn to violence and murder after consuming any amount of alcohol. Paul had been drinking in the tavern before Mrs. Clark refused to serve him. In court records related to his appeal, Paul admitted that he let his anger over not being served get the better of him, but he maintained that his response was not alcohol-induced. He said his reaction stemmed from the belief that he had just as much right to be served as anyone else in the tavern and that the keepers actually owed him money. After the beating, Paul asked to enter the tavern to retrieve some clothing he had left behind. Once he was inside, Cook continued to abuse Paul and shouted to one of the patrons, “Give me your Cane and I’ll still the Dogg!” When Paul saw Cook coming at him with the cane, he quickly grabbed a “Stick or Club which he then saw lying in his way”–not a flat iron, as was claimed in court during his conviction–and struck Cook in an act of self-defense. Paul later admitted that he used some “Vile, Threatening Language” while he was being beaten, but he insisted that he never intended to commit murder. As part of his appeal, Paul claimed that his trial occurred too close to when the event took place, when emotions were still running high, and that he was never given an opportunity to present his side of the story. He hoped that his verdict would be downgraded to manslaughter rather than willful murder, which would result in a punishment of branding rather than death. But the New Haven Superior Court denied Paul’s appeal. The stormy weather on the day of Paul’s execution on September 2, 1772 was not enough to discourage a “very great Concourse of People” from showing up. 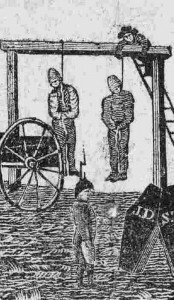 It turns out the members of the crowd were just as curious to witness an execution in person–the last one that took place in New Haven was in 1749–as to hear a Native American conduct a sermon. 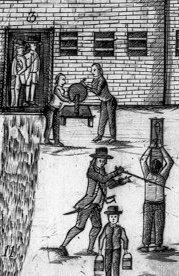 Paul’s execution marks the beginning of a stretch in time when Native American, African American, and foreign-born (mainly Irish) criminals were disproportionately executed in New England. Such bias appears to be at work as much today as it was then. As recently reported in the New York Times, a major study of murder sentencing by Stanford Law professor John Donohoe shows that minority defendants whose victims were white are far more likely to receive the death penalty than other defendants. 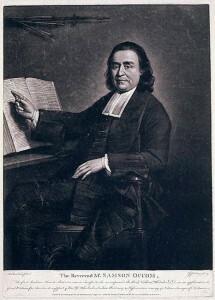 After Paul’s execution, Occom was pressured to publish the sermon he gave on that day, and it was so successful that it appeared in multiple editions well into the early 19th century. The sermon is widely attributed as being the first published work by a Native American, although another publication connected with Paul’s execution —A Letter from J—h J—n, One of the Mohegan Tribe of Indians, to his Countryman, Moses Paul, Under Sentence of Death, in New-Haven Goal, which appeared on or before April 17, 1772–was most likely the first in this category. 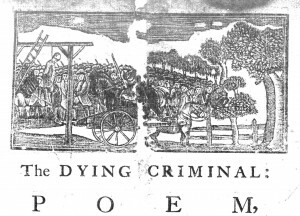 However, a broadside was published and sold at Paul’s execution that purportedly put the sermon that Occom was about to give in verse. It is not clear whether Occom had any hand in its publication–the themes in the poem do not entirely match up with those in his public address–but if he did indeed write it, it would also supersede his sermon in what would qualify as the first Native American publication. New Haven, on the 2d of September 1772, for the Murder of Moses Cook. That poor despised Indians wallow in. That made poor Moses break God’s righteous Laws. For willful Murder in a drunken Fray. Has almost stript us all of every Thing. But what this Sin does turn to our great Shame. And many times put up with stinking Fare. For the accursed use we make of Rum. Our Women will get Drunk both young and old. Affecting Sight! enough to melt one’s Heart. We are despis’d and scorn’d and cheated too. A drunken Devil I never heard of one. Can for this Sin and all your Sins atone. And to a JESUS make a speedy Flight! And get a sealed Pardon while you may. With earnestness of Soul, Why will ye die? Then Christ and his Salvation you shall see. In Hell, where you shall never see his Face. Caplan, Lincoln. “The Random Horror of the Death Penalty.” The New York Times, January 7, 2012. Website: http://www.nytimes.com/2012/01/08/opinion/sunday/the-random-horror-of-the-death-penalty.html. Chamberlain, Ava. 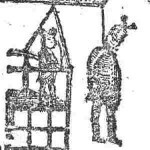 “The Execution of Moses Paul: A Story of Crime and Contact in Eighteenth-Century Connecticut.” The New England Quarterly 77:3 (Sept. 2004), 414-450. Cohen, Daniel A. Pillars of Salt, Monuments of Grace: New England Crime Literature And the Origins of American Popular Culture, 1674-1860 . Boston: University of Massachusetts Press, 2006. Donohue, John. “Capital Punishment in Connecticut, 1973-2007: A Comprehensive Evaluation from 4686 Murders to One Execution.” Website: http://works.bepress.com/john_donohue/87/. [Johnson, Joseph]. A Letter from J—h J—n, One of the Mohegan Tribe of Indians, to his Countryman, Moses Paul, Under Sentence of Death, in New-Haven Goal. [New London, 1772]. Database: America’s Historical Imprints, Readex/Newsbank. “New-Haven, Dec. 6.” Connecticut Gazette, December 20, 1771, vol. VIII, issue 423, p. 3. Database: America’s Historical Newspapers, Readex/Newsbank. “New-Haven, Dec. 27.” Connecticut Journal, December 27, 1771, issue 219, p. 4. Database: America’s Historical Newspapers, Readex/Newsbank. “New-Haven, September 4.” Connecticut Journal, September 4, 1772, issue 255, p. 3. Database: America’s Historical Newspapers, Readex/Newsbank. New-Haven, September 2, 1772. A Short Account of Moses Paul. [New Haven, 1772]. Database: America’s Historical Imprints, Readex/Newsbank. Occom, Samson. Mr. Occom’s Address to his Indian Brethren. Boston and Newport, . Database: America’s Historical Imprints, Readex/Newsbank. A different edition is available on the website of the American Antiquarian Society: http://www.americanantiquarian.org/images/guidebook/nativeamerican/nativea-gb2.jpg. —. A Sermon Preached at the Execution of Moses Paul. Boston: John Boyles, 1773. 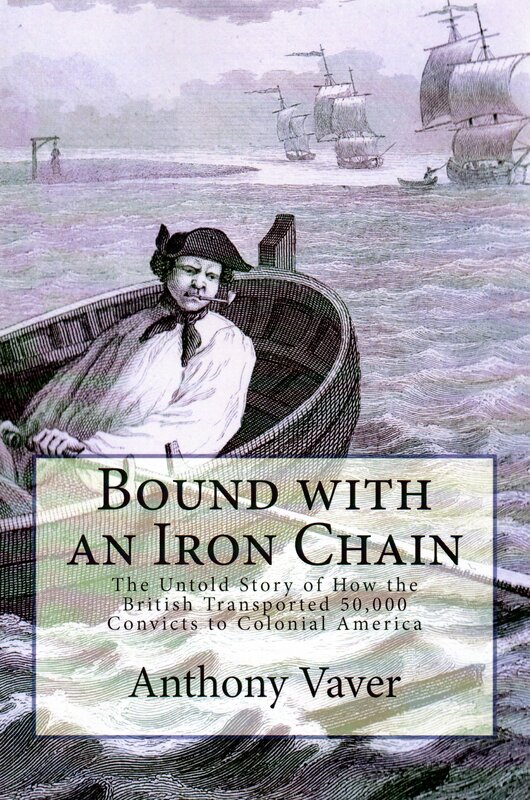 Database: America’s Historical Imprints, Readex/Newsbank. This was written by Anthony Vaver. Posted on Wednesday, January 18, 2012, at 1:34 pm. Filed under Poems. Tagged Connecticut, Drunkenness, Execution, Murder, New England, Prisons and Jails, Punishment. Bookmark the permalink. Follow comments here with the RSS feed. Post a comment or leave a trackback.